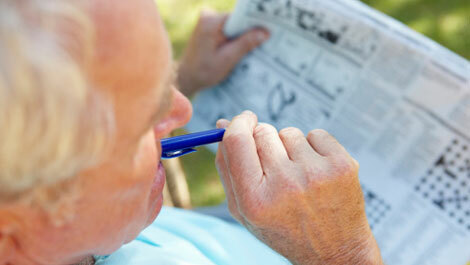 Alzheimer’s disease is a brain disease that is common to older people. The disease slowly destroys their memory and thinking skills. It affects the ability of the people to do simple works. Lifestyle check is important so that people will know certain lifestyle measures to make to keep Alzheimer’s disease away. It is important that a person is physically and mentally fit. They have to eat healthy food that can make their body and brain healthy. A person who has cardiovascular problem is most likely to develop Alzheimer’s disease or Dementia. Cardiovascular problems include: hypertension (high blood pressure); High Cholesterol; heart problems like stroke; diabetes; obesity; and depression. Knowing the causes of cardiovascular problem can help the people treat and reduce the risk of developing cardiovascular health problems. A lifestyle change can prevent the risk of developing cardiovascular health problems; more so, it can also prevent the risk of developing AD. While some experts believed that a healthy mind comes from a healthy body, controlling cardiovascular problems can also be one of the best ways to prevent the risk of developing AD or dementia. Eating healthy foods is good for the body and brain. A healthy and balanced diet is recommended. The Mediterranean diet is recommended, it includes olive oil, fruits, vegetable, fish and seafood, low amount of dairy products and red meat, moderate amount of wine. This diet is recommended to prevent the risk of vascular dementia, which occurs when the oxygen supply of the brain is insufficient. People should maintain the ideal cholesterol level, blood pressure and blood sugar level so that they will not be at risk of developing Alzheimer’s disease. People who have high cholesterol level, high blood pressure and high blood sugar level are always at risk to have AD. It also increases the risk of stroke, heart disease and diabetes.